Top Ten Tuesday is a weekly meme hosted by The Broke and the Bookish. This week the theme was Top Ten Books to Read if Your Book Club Likes __________. 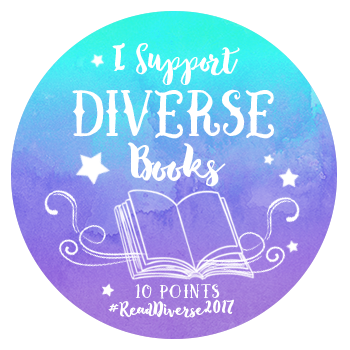 My fill in the blank choice is a focus on diversity and authors from around the world. I have a personal long-term challenge goal of reading a book by an author from every country, and I think it would be equally awesome to be a part of a book club whose goal was to “Read the World”! All manner of flawed and fragile humanity reside in the Yacoubian Building, a once-elegant temple of Art Deco splendor now slowly decaying in the smog and bustle of downtown Cairo: a fading aristocrat and self-proclaimed “scientist of women”; a sultry, voluptuous siren; a devout young student, feeling the irresistible pull toward fundamentalism; a newspaper editor helplessly in love with a policeman; a corrupt and corpulent politician, twisting the Koran to justify his desires. These disparate lives careen toward an explosive conclusion in Alaa Al Aswany’s remarkable international bestseller. Teeming with frank sexuality and heartfelt compassion, this book is an important window on to the experience of loss and love in the Arab world. Why I recommend it: Captivating writing and storytelling. Why I recommend it: Despite a slow beginning, I fell in love with the characters and setting. Verghese writes a moving family drama set against the backdrop of medical practice in Ethiopia, and the turmoil between Ethiopia and Eritrea. If you do not know the history of Ethiopia or Eritrea, I definitely recommend a quick bit of research into Emperor Selassie, Mengistu, the Eritrean Liberation Front, and the history of Ethiopian and Eritrean relations before delving into this excellent novel. Why I recommend it: Because I love everything written by Chimamanda Ngozi Adichie. I loved Ifemelu’s blog posts, and her commentary on the different societies portrayed in the novel. Why I recommend it: A fascinating novel for those who like magical realism. The content of The Satanic Verses is also the reason why the Ayatollah Khomeini issued a fatwa against Rushdie when it was published. It would make for an extremely interesting book club discussion. The Namesake takes the Ganguli family from their tradition-bound life in Calcutta through their fraught transformation into Americans. On the heels of their arranged wedding, Ashoke and Ashima Ganguli settle together in Cambridge, Massachusetts. An engineer by training, Ashoke adapts far less warily than his wife, who resists all things American and pines for her family. When their son is born, the task of naming him betrays the vexed results of bringing old ways to the new world. Named for a Russian writer by his Indian parents in memory of a catastrophe years before, Gogol Ganguli knows only that he suffers the burden of his heritage as well as his odd, antic name. Lahiri brings great empathy to Gogol as he stumbles along the first-generation path, strewn with conflicting loyalties, comic detours, and wrenching love affairs. With penetrating insight, she reveals not only the defining power of the names and expectations bestowed upon us by our parents, but also the means by which we slowly, sometimes painfully, come to define ourselves. Why I recommend it: If you can’t tell by now, I love reading books about the immigrant experience. This is an excellent introduction to the work of Jhumpa Lahiri. I love all of her books! Why I recommend it: Kiran Desai’s writing reminds me of The God of Small Things by Arundhati Roy, one of my favorite books I have ever read. The Inheritance of Loss delves into the topic of post-colonialism, interesting subject matter for book club discussions! Annie John is a haunting and provocative story of a young girl growing up on the island of Antigua. A classic coming-of-age story in the tradition of The Catcher in the Rye and A Portrait of the Artist as a Young Man, Kincaid’s novel focuses on a universal, tragic, and often comic theme: the loss of childhood. Annie’s voice—urgent, demanding to be heard—is one that will not soon be forgotten by readers. Why I recommend it: I read Annie John while vacationing in Nevis this past August, another small Caribbean island. Jamaica Kincaid is a brilliant writer, and the universal theme of the relationship between mothers and daughters would make it an excellent group read near Mother’s Day. The novel tells the story of the rise and fall of the mythical town of Macondo through the history of the family. It is a rich and brilliant chronicle of life and death, and the tragicomedy of humankind. In the noble, ridiculous, beautiful, and tawdry story of the family, one sees all of humanity, just as in the history, myths, growth, and decay of Macondo, one sees all of Latin America. Love and lust, war and revolution, riches and poverty, youth and senility — the variety of life, the endlessness of death, the search for peace and truth — these universal themes dominate the novel. Whether he is describing an affair of passion or the voracity of capitalism and the corruption of government, Gabriel Garcia Marquez always writes with the simplicity, ease, and purity that are the mark of a master. Why I recommend it: In my opinion, Márquez is one of the greatest writers of our time. If you or your book club like magical realism, he is the master and creator of the genre. Why I recommend it: The only non-fiction book on my list, but a story that needs to be heard by everyone. The writing is not perfect, but Malala’s indomitable spirit and perseverance shines through. Gripping, prophetic, suffused with comedy and menace, The Wind-Up Bird Chronicle is a tour de force equal in scope to the masterpieces of Mishima and Pynchon. Why I recommend it: It’s brilliant. BRILLIANT. What is on your Top Ten Tuesday list this week?